The NanoBrain project is coordinated by Yves Berthezène with the support of Marlene Wiart at the University of Lyon. It gathers eight partners (seven academic and one industrial) from two countries (France and Denmark). 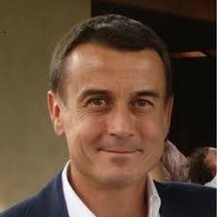 Yves Berthezène, M.D., Ph.D., Coordinator. Pr Berthezène is the head of the Neuroradiology department of the neurological hospital of Lyon. He is a senior researcher and the co-leader of the research group “Imaging cerebral ischemia” at the Creatis lab. He also belongs to the Laboratory of Excellence Physique, Radiobiologie, Imagerie Médicale et Simulation (Labex PRIMES). He has been a PI on several research-funded projects, including the ANR TecSan INFLAM (2007-2010). He published more than 130 JCR/ISI indexed articles. Marlène Wiart is a senior researcher (directeur de recherche CNRS) at the CarMeN laboratory. She has long-track record in the development of cellular imaging methods in-vivo. She has 20 years of experience in imaging and stroke research, with many multidisciplinary projects in this field, as well as international collaborations. She has published more than 60 peer-reviewed articles in international journals, leading to 1439 citations and an H-index of 21 (Google Scholar, Oct 2017).